What do more consumers complain about, year after year, to the Better Business Bureau? What consumer complaints perennially rank #1 among state and local consumer protection agencies? Think that odometer fraud is a crime of the past? Digital odometers were supposed to make altering a car’s mileage harder. And they did – for a while. But new gadgets for turning back odometers are now available on the internet — and shockingly easy to use. An eye-opening undercover investigative report by CBS channel 2 in Los Angeles shows how it’s done — in a scam that has attracted the attention of authorities. How many miles are really on that used car you're looking at? Odometer fraud remains a serious crime in the U.S., robbing consumers who pay thousands more than a car is really worth. Plus they face costly repairs they didn’t anticipate. Adding insult to injury, warranties are usually void on vehicles with altered odometers. So even if you buy a car that was sold with a warranty, you may be stuck paying out of pocket for repairs. How can you avoid odometer fraud? Vehicle history reports don’t always capture mileage discrepancies. So be sure to get a reliable auto mechanic to thoroughly inspect any used car you’re interested in buying, before you agree to anything. An altered odometer may register a trouble code that a qualified mechanic can detect, using specialized diagnostic equipment. Also insist on seeing all the work orders for past repairs, and contact the repair shop to confirm the mileage. The average mileage for most cars is around 12,000 a year. Be especially suspicious when sellers claim a car has significantly lower mileage. Thousands of car dealers across the nation have been selling cars they don’t even own. Don’t be victimized by shady dealers who engage in what’s known as “car kiting” — selling cars they take in trade, without paying off the outstanding liens. How do they do it? Dealers who are having trouble making ends meet, or are just crooked, take cars in trade from consumers who still more than the cars are worth — known as being “upside down” or “underwater.” The dealers promise to pay off the rest of the loan, and the amount the consumer owes is rolled over and added on top of their next loan. Then the dealer fails to pay off the loan. Instead, he “kites” the car — selling it without first paying the lender and getting proper title to the car. If you buy the car that was traded in, you may be out of luck. That’s because the former owner’s lender still has the title to the car, and expects to be paid. When the dealer fails to pay, the lender can repossess your car. They can seize it even if you are a very responsible borrower and make every payment in full and on time, to your lender. When your car is repossessed, that can leave you without a way to get to work, and cost you your job. Plus a repossession typically stays on your credit for 7 years. Many employers check credit reports before they hire, so a repo can also become a barrier to employment. How can you protect yourself from car kiting? 1. Insist on seeing the title before you buy. If the dealer doesn’t have the title, it may be because they failed to pay off the outstanding balance. 2. Double-check with your state’s motor vehicle department to make sure the title is legitimate (it’s too easy for a shady dealer to counterfeit a title). Make sure that you're not buying someone's lemon. This happens all the time. And it can be catastrophic, resulting in losing the car and your job — and having your credit trashed. 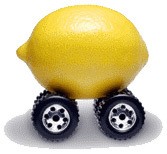 How can you avoid the pitfalls of buying a used lemon, that needs expensive repairs right away? #1 — ALWAYS insist on getting your own, independent inspection by a reliable auto technician, BEFORE you agree to buy. Don’t trust the seller — even if it’s a large dealership and the salesman seems nice and friendly. They are out to make a profit, and you don’t want it to be at your expense. #2 IF you already bought the car AS IS, and you do have problems, don’t take it back to the dealership for repairs. It’s a trap. Think about it. What are the chances a dealer who cheated you over the condition of the car will suddenly get religion and fix it properly? Instead, they usually keep the car for weeks and do band-aid repairs, that don’t last, in hopes you will give up and stop paying for the car. 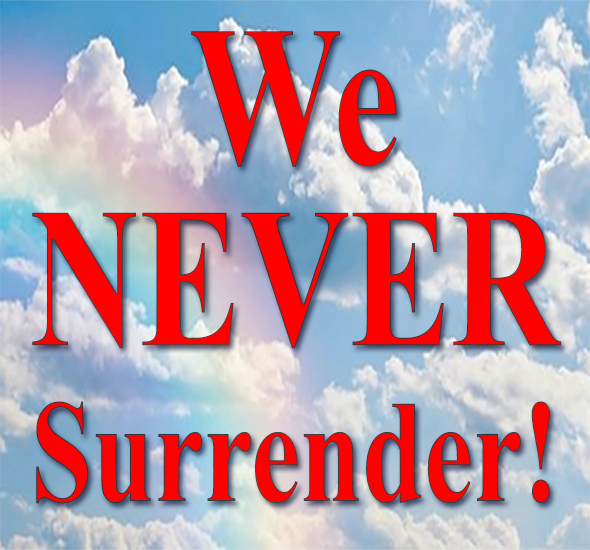 Then they spring the trap — and repossess your car. Then they have your down payment, and any payments you made, and — the car. 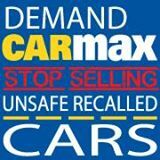 Then they can sell the same car again and again to other hapless consumers. Meanwhile, you lose your car, and maybe your job, and the repo stays on your credit for 7 years. A disaster. Instead, take the car to a reliable mechanic and get if fixed right. Then you can seek reimbursement from the seller. If he refused to pay for the repairs, you can try small claims court. But it’s better to just get it inspected first, and avoid a huge hassle. 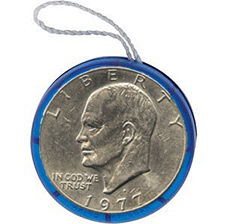 yo-yo financing -- or oops your financing "fell through"
Don't let a dealer yo-yo you! The dealer tells you the financing “fell through” and you need to bring the car back. If you refuse, he threatens to repossess the car and trash your credit. Or he threatens to call the cops and have you arrested for auto theft. Even though you have a signed contract, and may have started making payments. The dealer refuses to return your down payment or traded-in vehicle. He does this to keep you trapped and stop you from going to another dealership where you could get a better deal. One consumer who contacted CARS was talked into buying a new Toyota, even though she told the salesman she didn’t think she could afford it. He insisted she could afford a new car, since they were offering 0% interest, so her payments would be lower than on the car she was trading in. But — shortly after she bought the car, the dealer called and told her that the financing “fell through.” Instead of 0%, the interest rate was going to jump to 16%. No way she could afford the payments at that rate. When she refused to agree to the higher rate, the dealer threatened to repossess her car. CARS eventually got the dealer to back down, by exposing the case to the news media. However, most consumers who are yo-yo’ed end up with loans far more expensive than they had bargained for. The safest way to make sure you’re not yo-yo’ed is simple. NEVER get financing from the dealer. Either save up and pay with a check, or join a credit union and get pre-qualified for a loan. If the dealer says he can get you a lower interest rate, don’t believe it — the interest rate could skyrocket if the dealer decides to yo-yo you. California is moving closer to curbing sour deals on used cars sold by “buy here pay here” auto dealers, who target struggling people with bad credit — including members of the Armed Forces and their families. CARS is on the forefront in pushing for the reforms.